Outdoor rock climbing is like eating sushi: it doesn’t seem safe at first, and then suddenly it becomes addictive. Well, outdoor climbing can be as safe as eating sushi, provided you have the proper know-how, equipment, and common sense. 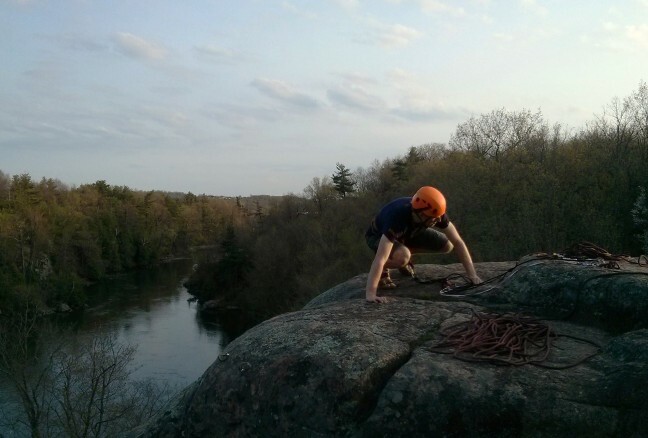 Rock climbing has become increasingly popular in Kingston over the last few years. Our city boasts the highest indoor climbing wall in Canada with the 100ft chimney at the Boiler Room. 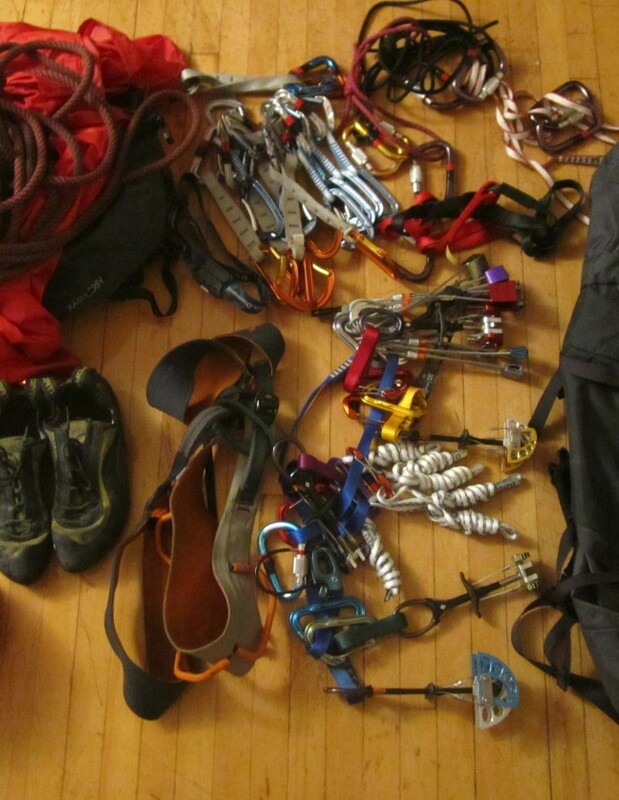 With nicer weather finally here, however, many of Kingston’s climbers are off to the Mills. Kingston Mills Locks, part of Rideau Canal UNESCO World Heritage Site, is located 3.5km northeast of Kingston. This “crag” provides more than 80 climbing routes, and many other tracks for bouldering. The area was set-up for climbing almost thirty years ago, with the first climb believed to be around the 1960’s. Today, you can find bolts at the top of the cliffs that allow for “top roping” (similar to indoor climbing after you set up an anchor). This set-up offers an easy entrance for novice outdoor climbers. Popular for experienced climbers is trad or lead climbing, in which the climber places securities en route and may experience larger falls. 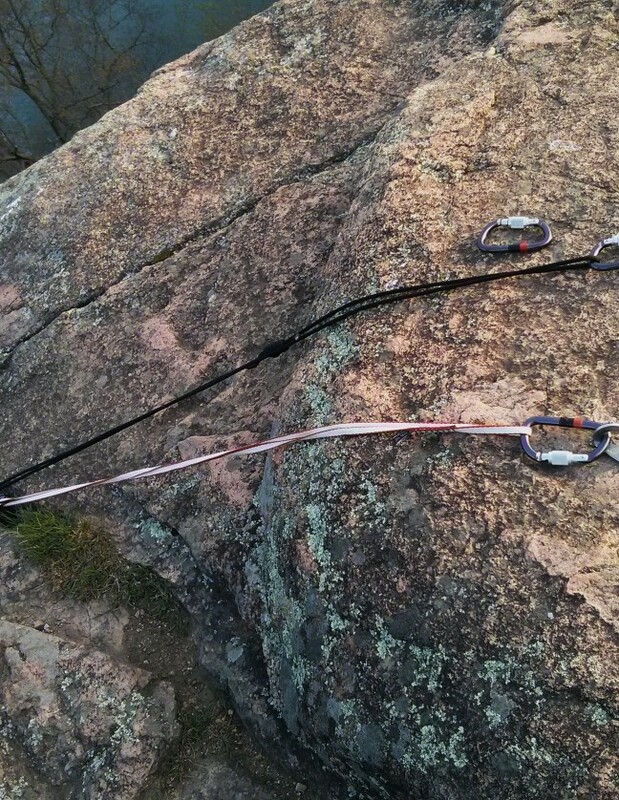 With the rope in hand, the trad (or “traditional”) climber does not have the security of a top rope anchor, but creates catch-points for the rope by placing specialized gear into crags or crevices every few feet during the ascent up the cliff face. All top-roping and trad or lead climbing is relatively safe, provided the climber has previous experience indoor climbing, proper equipment, and has taken some outdoor climbing courses. No major incidents have yet been reported at the Mills. Gerhard carefully sets up the anchor. We have much to thank Robert Chisnall for his entrepreneurial efforts, along with a few other notable Kingston climbers, for setting up the bolts and designating the possible climbing areas. Chisnall is famous in the climbing community for his record 22 one-arm chin-ups done on a suspended ring, for which he was placed in the Guinness Book of World Records (1989). Less known is that he is also one of the foremost authorities on forensic knot science in the world, and has worked closely with the Canadian Metropolitan Toronto Police and the Royal Canadian Mounted Police in crime scene investigation. His booklet, A Climber’s Guide to Kingston Mills, names and maps out routes available, rates them for difficulty and enjoyment, and provides pointers of where to start. The six major climbing areas that he designates are mostly located to the west or right side of the locks as you enter. One wall, however, is on the other side of the Cataraqui River and is only accessible by boat. The routes are all roughly 15m tall, with some up to 30m. 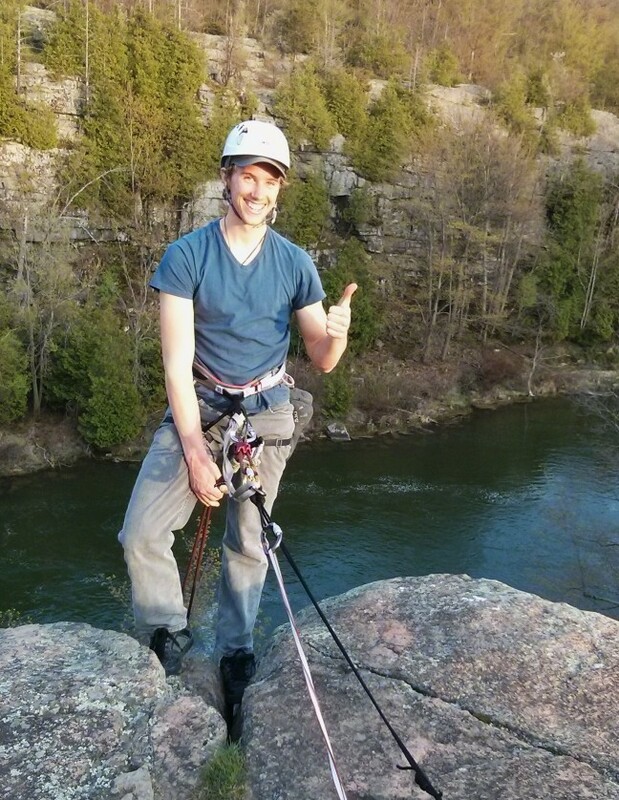 For those who wish to begin outdoor climbing, an easy place to start is by becoming a member of the Boiler Room. 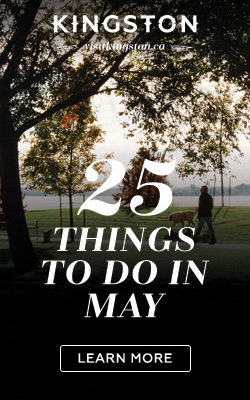 Members are frequently invited to attend outdoor excursions over the summer. Also, the indoor exposure and experience will help increase the safety of your outdoor climbing.